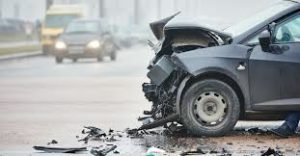 Proven Trial Lawyers For DuPage County Personal Injury Accident Cases. The trial attorneys at DeBlasio & Gower LLC are ready when tragedy strikes. If you or a loved one have suffered personal injuries as a result of someone else’s negligence or reckless conduct in DuPage County, you should contact our attorneys immediately at (630) 560-1123 for a free consultation. Acting quickly can mean the difference between being able to prove your case, or walking away with nothing because important evidence was not preserved. Recently, one of our clients was tragically run over by a car that was backing up in the parking lot of a government building. She sustained many personal injuries, including bone fractures. When she contacted our DuPage County trail lawyers, we immediately deployed to the scene of the accident to investigate. 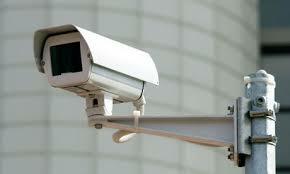 One of our personal injury team members identified surveillance cameras in the parking lot. We took quick action and requested copies of the surveillance camera video footage. The video captured the entire accident on tape from beginning to end. Case closed. Within days, the insurance company for the negligent driver paid the full insurance policy limit to settle our client’s claim. That crucial video evidence could have been lost if our client had done nothing for weeks. Instead, she wisely contacted our DuPage County personal injury lawyers as soon as possible. Call NOW (630) 560-1123 for a free personal injury consultation with one of our DuPage County trial lawyers or contact us via our website http://www.dgllc.net/contact. We serve clients throughout the Chicago area, in state and federal courts, including the Circuit Court of Cook County, the DuPage County Circuit Court in Wheaton and the Will County Circuit Court in Joliet. www.DGLLC.net. DISCLAIMER: While our firm has had success in many client engagements, past results can never be used to gauge the outcome of any future case. Judges and juries decide the outcome of cases, not lawyers. This blog post is not legal advice and should not be relied on by anyone as legal advice in their particular situation. Furthermore, while DeBlasio & Gower welcomes communications via its website, please be aware that communicating any information to DeBlasio & Gower LLC or any of its attorneys through its web site or via any other method without a formal engagement with the Firm does not constitute or create an attorney-client relationship between you (or any other users, senders or recipients) and DeBlasio & Gower LLC or any of its attorneys. Thank you.